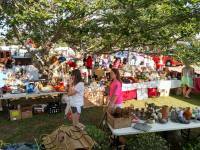 Located on "The Ridge" in rural South Carolina, The Peachtree 23 Yard Sale event is a one-of-a-kind "stop and go experience" you don't want to miss!! You'll meet some great folks as you wind your way along a beautiful stretch of rural South Carolina dotted with charming small towns, beautiful old Southern homes, and historic places. Spanning 44 miles along SC Highway 23 - Batesburg-Leesville to Modoc - running through 7 towns you will find everything from clothing, jewelry, furniture, household items, and much , much more. Also, along the route you will find Farmers & Artist's Markets carrying fruits and vegetables in season, and local restaurants will be ready to nourish you when you need to re-fuel!! Do you like to score a deal? Do you get a thrill from the hunt? Come out, do some bargain hunting. You never know what treasures you will find at this one-of-a-kind yard sale. 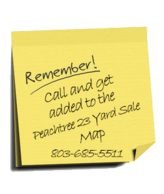 "Everything you want to find, you can find on the "Peach Tree", says Pat Asbill, Mayor of Ridge Spring. 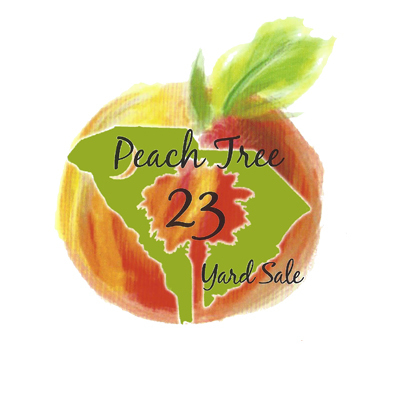 Peachtree 23 Yard Sale, runs annually on the first Friday & Saturday in June. 2019 is a little different it will be May 31st and June 1st. It's just keeps getting bigger and bigger!! The towns suspend yard sale permits for the event, but ask that you contact individual town halls or Chambers of Commerce to find out how they handle their town. Ridge Spring rents spaces for anyone wanting a space, but they sell out early so make the call soon to join in the fun! No matter where you are setting up we can add you to our map to help you get found. Please Note: All spaces with a red X are availiable for the 2019 Sale. If it has a name that is just the name from last year. We are leaving last years name on these availiable spot in case last years vendor is looking to get the same spot they had in 2018. The Map above is an interactive map that shows information about the Peacch Tree 23 vendors in Ridge Spring. If you are a vendor and would like to know where your booth will be you can find your name to the left by opening the legend or simply click on the shopping Icons to find your name. 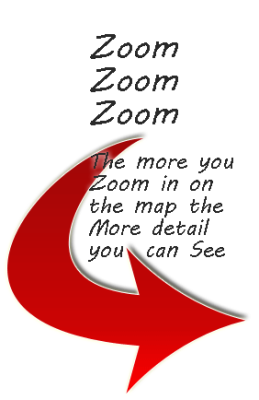 If you are a shopper looking for a certain vendor you can do the same. This map contains parking information and will also help with alternate routes around the traffic. Your GPS active devices should work to help you with your location. 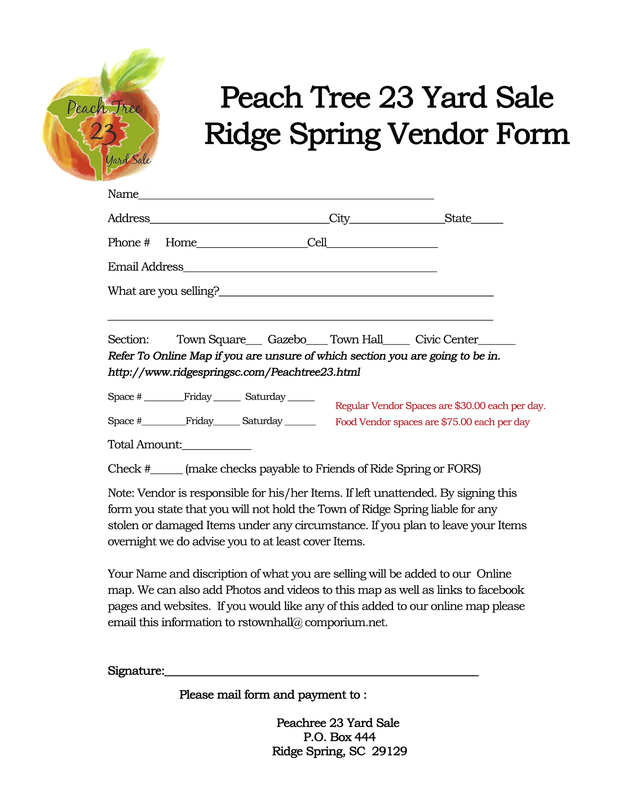 For vendors wanting to setup in Ridge Spring Please download the form and send with your payment to: Peach Tree 23 Yard Sale P.O. Box 444, Ridge Spring, SC 29129. Make Checks payable to Friends of Ridge Spring.